Another classy sport of 'June'. 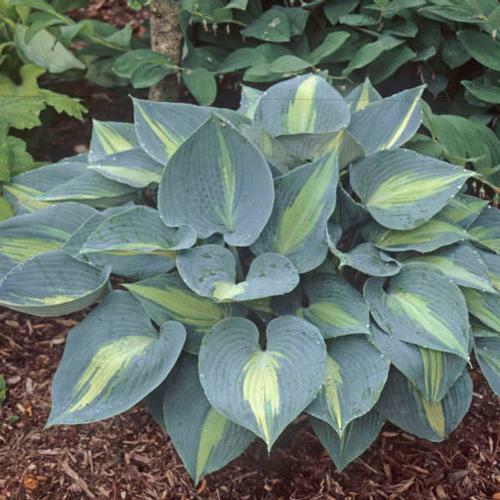 Large heart-shaped leaves have wide slate green margins and narrow light green centers. Superior slug resistance with thick substantial leaves. Lavender flowers on 22" scapes mid summer.